Save the date for Memorial Day weekend from May 24-27. 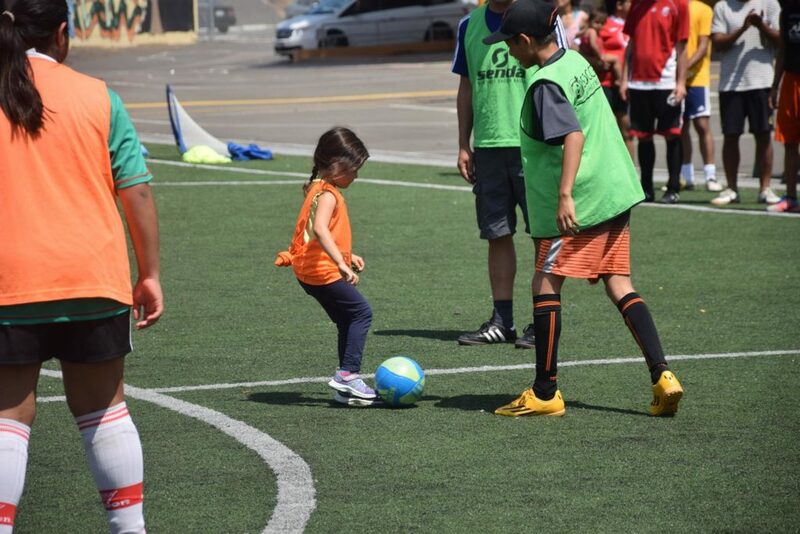 At long last, Copa Comunidad is coming back to the Bay Area! 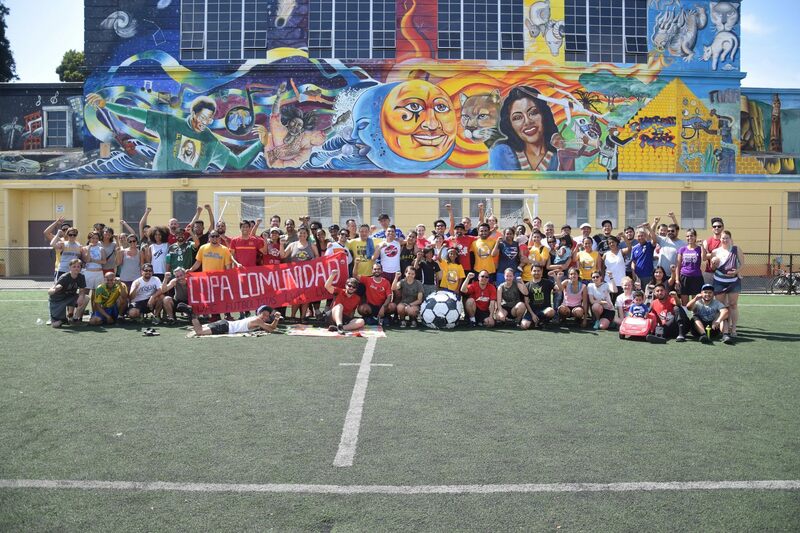 Copa Comunidad brings Left Wing squads from across the country together for a weekend of fútbol, fun and community. This is a space for people of all genders, skill levels and abilities to come play and celebrate together. We especially welcome those not traditionally represented on the soccer pitch. All are welcome regardless of your ability to play, pay or whether you’ve participated in Left Wing in the past. As always, we make sure everyone gets a touch on the ball, builds each other’s skills and the score is always 2–2. All events will be held in or near Oakland, California. Need a place to stay? Fill out our registration page to make sure we have housing for you. 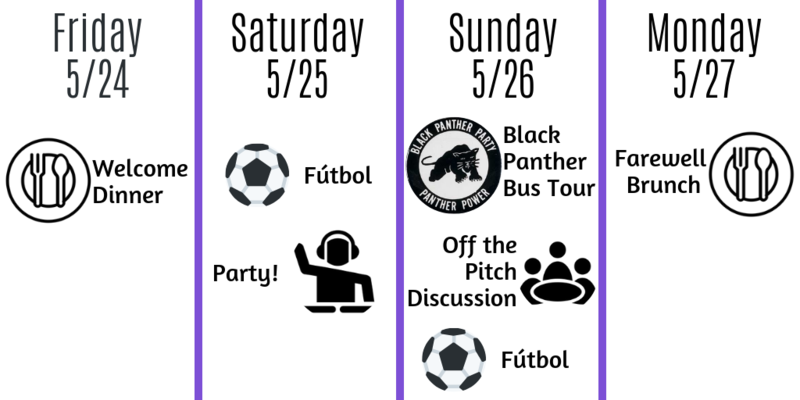 The schedule will be posted closer to the event, but there will be activities from Friday evening to Monday morning revolving around food, soccer, politics and fun. The year, we celebrate Oakland’s revolutionary roots and present day struggles. From the General Strike and the Black Panthers to recent movement moments like Occupy, Black Lives Matter and the recent Oakland Teachers Strike, Oakland working class families stay READY TO STRIKE and score to win victories for women, workers, queer/trans/gnc people, black people, indigenous people, migrants, youth and people with disabilities. To help cover our costs, the registration fee is sliding scale $45-65. Get your limited edition Copa Comunidad t-shirts will only cost $15. If you can only come to some activities, feel free to donate $10-15 per day. Contact copa-oakland@leftwingfc.org with any questions!